It almost doesn’t feel right to look at Guardians of the Galaxy as part of the Marvel Cinematic Universe Phase 2. Not that it isn’t; it clearly is. It features the end credit scene villain from Avengers who is said to be the villain of Avengers 3 as the all-but creator of the Big Bad, the Big Bad’s Lieutenant, and and one of the heroes, and it features a metaplot that started in Captain America and continues through The Avengers and Thor: Dark World. But while Captain America, Thor, Iron Man and The Incredible Hulk (seriously, is Hulk the only one who gets his superlative?) featured well-known characters that were part of the early team of Avengers, Guardians of the Galaxy features an obscure team of heroes from a branch of Marvel that the movies have all but ignored, unless you count the ones that aren’t part of the MCU (Silver Surfer is part of the Marvel Cosmic line). While the aforementioned movies are primarily action-dramas that draw comedy from the larger-than-life personalities of their protagonists, Guardians is arguably a comedy first, then an action movie. And while the other MCU films have all featured members of the Avengers, Guardians of the Galaxy…does not. Comparisons aside, one of the things I like best about the MCU is that its films don’t all have to fall into a single genre. Iron Man 3 and Captain America: Winter Soldier are more along the lines of what I’d expect a James Bond film to be like (knowing of the series only second-hand) than something like Spider-Man. Each film is unique, or at least they can be. And as Phase 2 continues, they only become more unique. When Guardians was announced, I was extremely excited. How could I not be? The studio behind Avengers was producing a space opera. I wouldn’t be myself if I could suppress my excitement at the idea of a cross between Star Wars and The Avengers. That isn’t exactly what we got, however. As I described earlier, Guardians of the Galaxy is far more of a comedy than either of these features and, unfortunately for me, it was not the type of comedy that I look forward to. Rather than the type of comedy exemplified in Joss Whedon’s writing – characters that match the dramatic stylings of the universe but surprise you with their whit and reactions due to simply being intelligent snarking people – this is the type of comedy that has a character trying to force their self-described “outlaw name” down the throats of everyone he meets and a bunch of characters using the phrase “a-hole”. This detracted from the film somewhat for me, though I am well aware that not everyone shares the same feelings. The characters are a mixed bag. While Avengers introduced one hero to the audience and seven to one another, Guardians of the Galaxy has Rocket, Groot, Starlord, Gamora, and Drax to introduce both to the audience and to one another – and without the help of the creator of Buffy Summers and River Tam to introduce the only female in the team (seriously…I’m hoping that Carol Danvers, Janet Van Dyne, Doreen Green, Jessica Drew, and Jennifer Walters all make their way into the MCU by the end of Phase 3 to even things out). The result is that all characters are given a motivation and a backstory, but not much else. There are one or two scenes designed to explain why they are willing to work as a team, but they leave the hope for further development and deeper relationships with one another for the next film. The result of this, along with other elements, is that Guardians of the Galaxy feels like it is playing it safe for much of the film. There is enough focus on female posteriors and arbitrary default love interests that people who think superhero stories exist for that have them to see, but not enough that people who notice them have a whole lot to complain about. The anthropomorphic raccoon is played completely seriously, contrasting with the comedic stylings of the world around him so that the two seem to have an equal level of ridiculousness for those who are assumed to scoff at the idea of Rocket in and of itself. All of this combined says to me that Marvel carried no faith in the film on its own and did everything in its power to avoid any sort of criticism that could be leveled at it, rather than allowing the film to live on its own merits. Despite all of that, though, Guardians is a good, and enjoyable film. Its soundtrack is amazing. I love films and television shows that combine sounds and scenes that would normally not be expected but create a memorable experience together, and I’m never going to be able to hear “Hooked on a Feeling” without thinking of its use in the film again. Some of the comedy is particularly good, even if I don’t care for about half of it. And, of course, the action. Fist-fights. Armed fights. Shoot-outs. Super-powered brawls. Starfighter battles. Name a kind of action you would want in a superhero film, and Guardians of the Galaxy probably has it. No, there are no Phantom Menace-esque protracted duels in the film, with the primary unarmed combatants being played by Nyota Uhura and Amelia Pond, but quantity does its best to make up for quality here. Besides, seeing Rocket Raccoon live up to his name is worth the absence of Ray Park any time. Speaking of which, the sheer magnitude of Sci-Fi actors appearing here is worth all the geek cred the film loses by playing it too safe. Park might not show up to do battle with Ronan the Accuser, but the other half of Darth Maul – Peter Serafinowicz – has a role. I already mentioned Zoe Saldana and Karen Gillan. Vin Diesel of Chronicles of Riddick appears as Groot, Benicio Del Toro (brother of Pacific Rim director Guillermo) plays a recurring MCU role, and Nathan Fillion, Lloyd Kaufman and Seth Green all have cameos. The week after the film’s release felt like a game of Bingo trying to recognize various actors from Sci-Fi franchises that appeared in the movie. 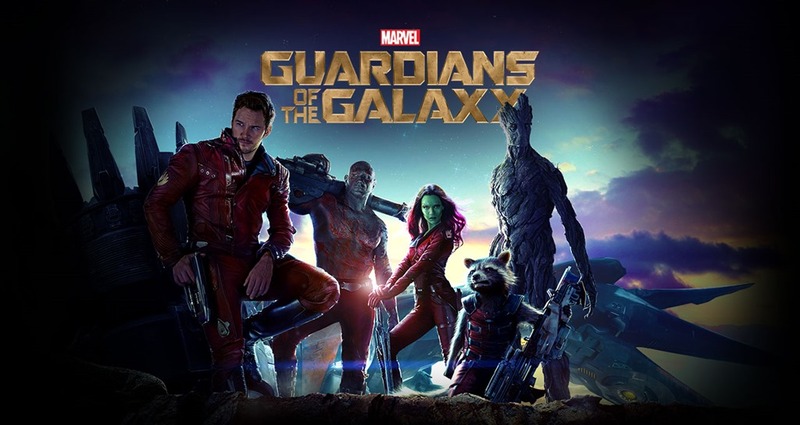 Guardians of the Galaxy has been a huge hit, largely winning over fans and, depending on how you see it, either proving to executives at Matvel Studios that the film didn’t need to play it so safe to be a huge hit or proving that it appealed to the largest possible audience by doing so. Regardless, the first films of all of these franchises are usually a flop for me, and with Guardians doing so well, I’m expecting Guardians of the Galaxy 2 to be my favorite Marvel film. If any form of fun Sci-Fi film appeals to you, odds are that you will also come to love Guardians of the Galaxy.